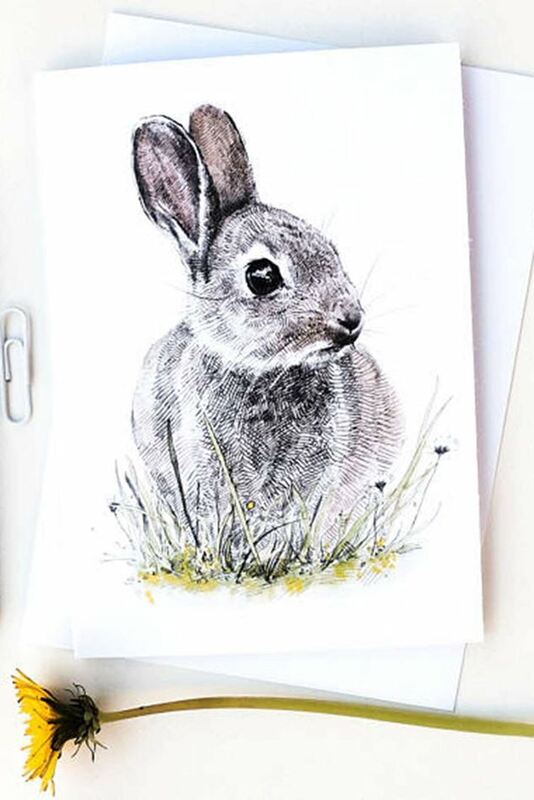 A crisp white card featuring a print of a pencil and watercolour drawing of a little bunny called Charlie. Perfect for a new baby or a child's birthday, for a note to a friends; or as a thoughtful gift for a nature lover. This card is blank inside for your own message. It is A6 size & comes with a nice white envelope. 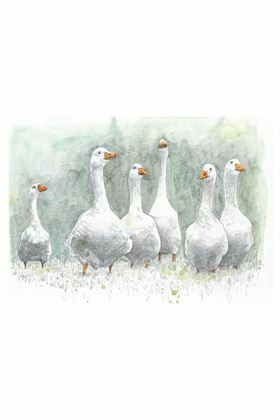 'Looking for Trouble' is a signed print of a pencil and watercolour drawing of some very naughty white farmyard geese. They are, most definitely, up to no good.